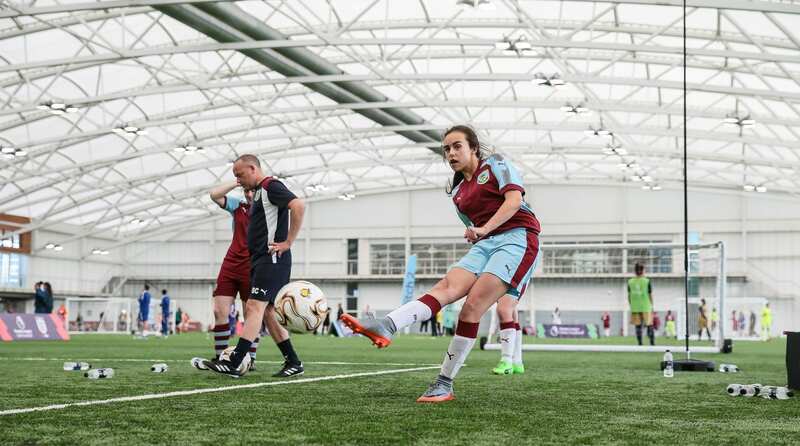 It’s been a successful first year for Burnley FC in the Community’s (BFCitC) Girls’ Post-16 Academy – a flagship football and education programme for 16-18-year-old females, delivered in partnership with Nelson and Colne College. The programme offers the unique opportunity for female players to learn with full time BFCitC coaches to improve their game, while also helping them progress their academic learning in the college’s educational environment. This season’s Girls’ Academy team played in the ECFA North-West Region Cat 3 league and performed exceptionally well, losing just one game out of 10 and narrowly missing out on the title by finishing runners up to a strong Cardinal Newman College squad. The team did get their hands on a title however, as they were crowned champions of the Northern College Futsal tournament after just nine games! The Academy also has direct links to our Burnley FC Women teams, whose first team recently achieved promotion to the FA Women’s Premier League Northern Division 1 after winning the North-West Women’s Regional League Premier Division title.